Today, most wines are produced in a sound manner, but few of them make music. Ordinary wines are well-constructed, but there are a few that produce symphonic notes that burst on the palate. 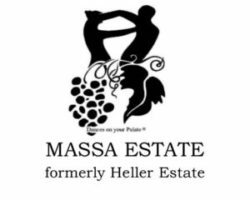 Great wines need great grapes and this is the ingredient that makes HELLER ESTATE ORGANICALLY GROWN WINES so exceptional. The soils and the growing methods produce grapes which are unmatched for quality in the area, where the vineyards are located at some 1,500 feet above sea-level in the Cachagua region of the Carmel Valley – some twenty-five miles southeast of the city of Carmel, California and the Pacific Ocean. The name “Cachagua” is believed to have been derived by the local Native American population from the French “cacher” (hidden) and the Spanish “agua” (hidden springs) – thus, the name “Cachagua”. We have artisanal wells and mountain springs under our vineyard property, and we essentially dry-farm most of the grapes and stress the vines to seek the water levels some thirty feet below the surface – resulting in outstanding grapes which, on the palate, can produce explosive finishes like the ending crescendo of a great symphony. We know that you will find your drinking experience with our wines to be exceptional and an unparalleled accompaniment to your dining experience, as well. The outstanding press received and Gold Medals awarded confirm this fact.